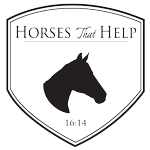 Eliminating physical, mental, spiritual, emotional, and cultural barriers with the help of horses. Dream big… there are a lot of families in need. I see urban youth going camping, roasting marshmallows, and riding a horse deep into the woods. Healing happens on long, quiet trail rides for both horse and rider and neither return unchanged.